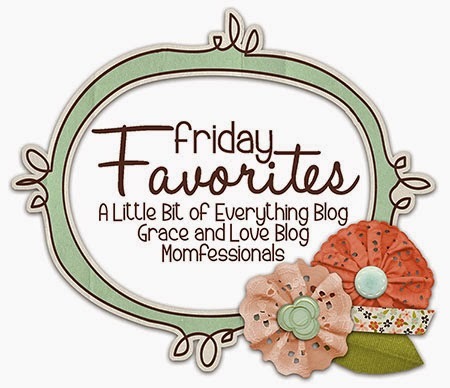 Linking up with Andrea and Erika for Friday Favourites. 1. One of my favourite meals. 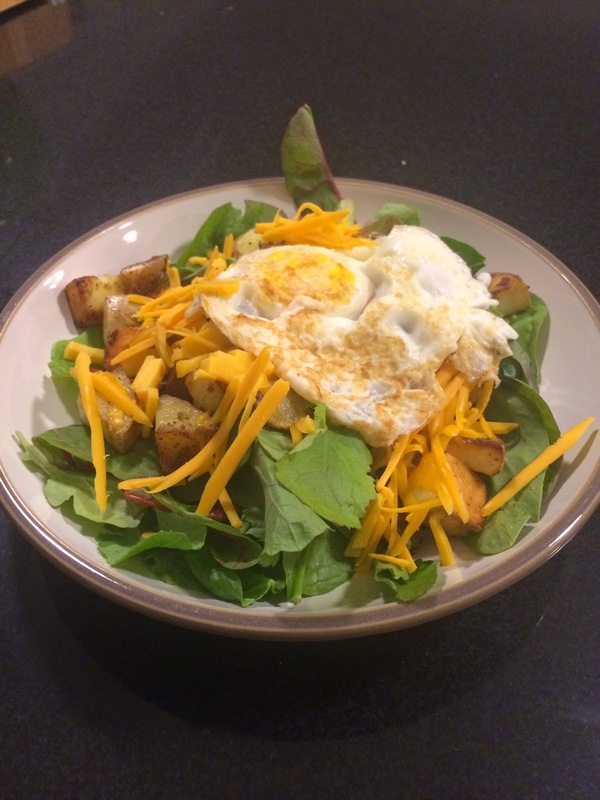 Baby spinach, roasted potatoes, cheddar cheese and a fried egg with a runny yolk. The original recipe was from Martha Stewart's Everyday Food magazine, but it involved a dressing and special cheese. This is simpler and so tasty. 2. The Book of Negroes miniseries started this week. Part of this book was set in my hometown of Shelburne, Nova Scotia, and they filmed part of the miniseries there too. In Canada it's on CBC on Wednesdays, in the US it's on BET in February. 3. Last weekend E made a snowman but after it fell over (rain) we put the carrot in the backyard thinking the squirrels would like it. It was gone the next day so I took E outside to try to figure out who took it. We found the tracks and looked up what they could belong to. 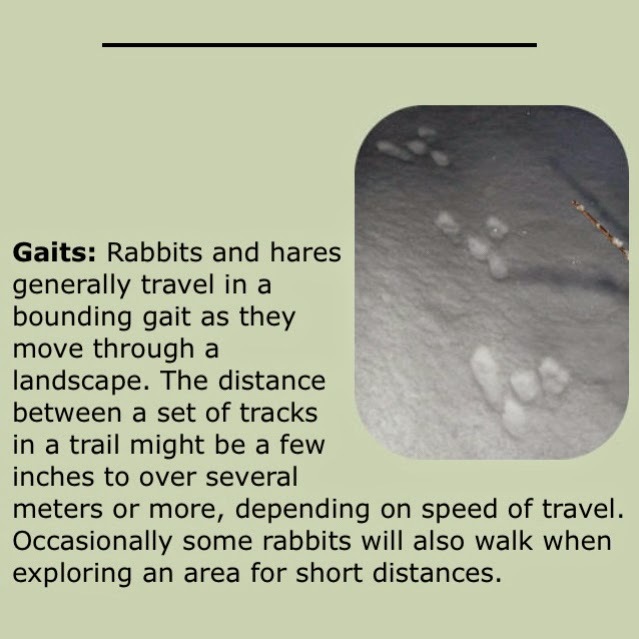 I think it was a rabbit, the tracks looked like this. Too big to be a squirrel, but not a raccoon because it was hopping and the tracks were smaller than a raccoon would be. There are apparently wild rabbits in Toronto although I've never seen one. 4. Two of my favourite shows started this week. 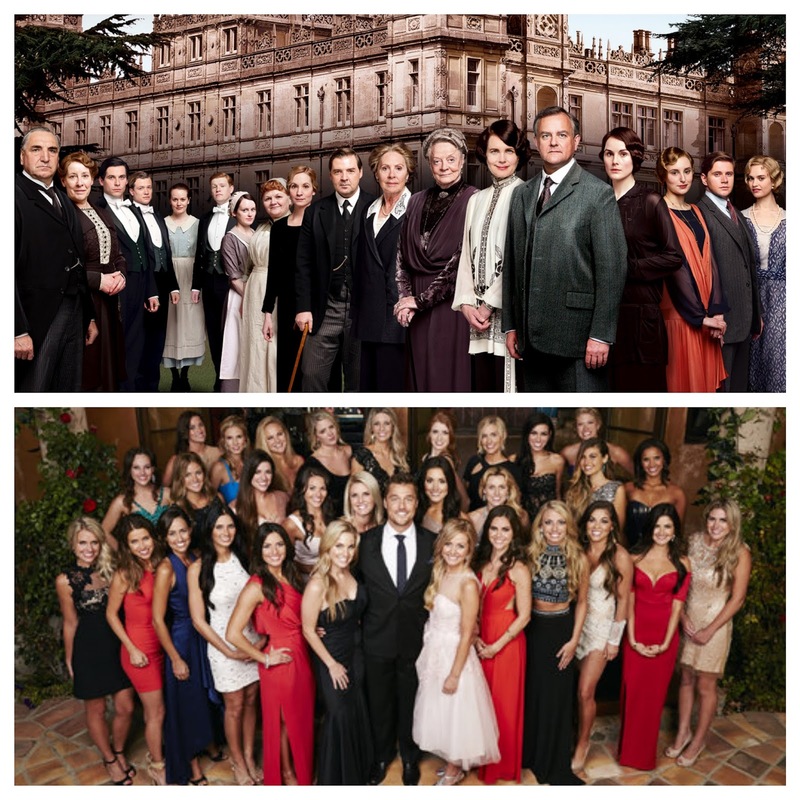 I wrote down some thoughts about Downton Abbey and The Bachelor on Wednesday's Post. 5. 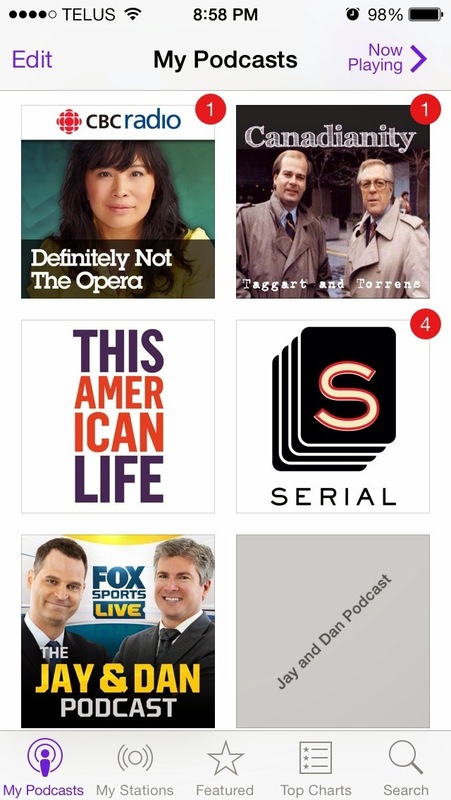 I am a fan of podcasts, as I've mentioned on here before. I found a couple of new ones and expanded my listening choices. Happy Friday Everyone!! Thanks for stopping by! That is really neat that you can experience wild life in your own back yard...in a big city! Too bad you have seen "hide nor hair" of it! Ha ha !